I want to tell you about a new line of products that is being carried in Walmart. 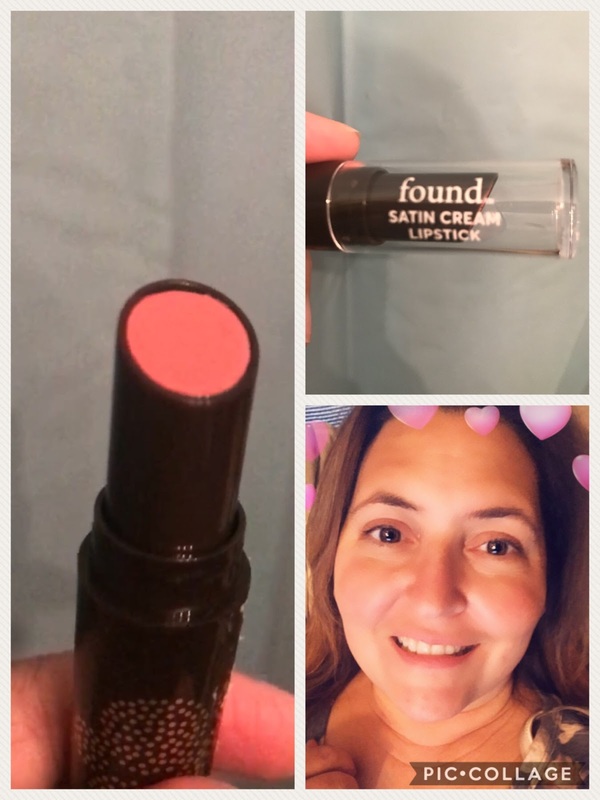 This is a beauty brand and it is called found™. found™ beauty products are made with miracle ingredients from around the world. 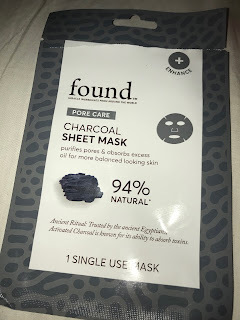 I am not one to quickly jump on the bandwagon when it comes to new products and concepts and to be honest I was a bit leery of the whole sheet mask thing, especially since seeing those horrifying videos of women placing those charcoal masks on their face and screaming in agony as they tried to take it off. While I found humor in it, I didn't want to subject myself to that type of agony. I do draw a fine line when it comes to beauty. 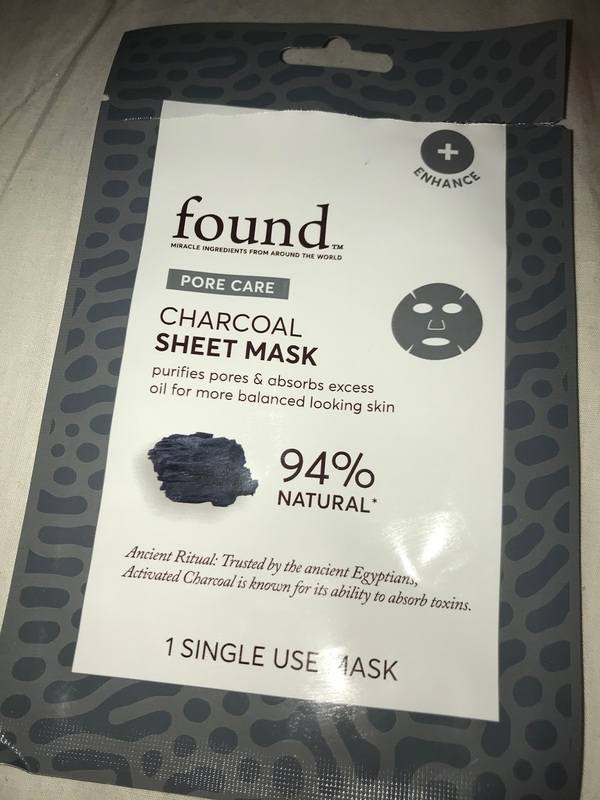 This charcoal mask, however, is different. It isn't that black, pasty substance that you smear all over your face and wait to dry. As a matter of fact, it isn't even the color of charcoal at all. 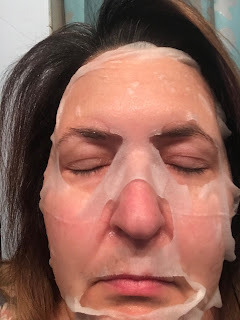 It is a sheet mask that comes moistened with areas cut out for your eyes, nose and mouth. It is so easy to use too. I simply laid it on my face and let it work it's magic for 10 minutes (you can leave it on up to 20). After removing the mask I massaged the remaining product into my face. It felt so nice and cool and refreshed. My pours felt nice and clean and it was really pleasant experience. I liked it so much, I can't wait to do it again. There is an entire line of sheet masks available for all different kinds of needs you may have. In addition to sheet masks, Found also produces skincare and cosmetics. I also received this satin cream lipstick in the color "Blush". It stays on nicely throughout the day and matches my skin and lip tone perfectly. You can see these and all of the products available from found by visiting their website. Our miracle ingredients are sourced from around the world. Each miracle ingredient plays a key role in product formulation and is blended with necessary functional synthetic materials to deliver the most efficacious and sensorial pleasing application. We work to avoid known allergens: wheat, milk, eggs, peanuts, tree nuts, soy, fish, crustacean shell, and gluten, but can’t guarantee against cross contamination. We always recommend you check with your physician prior to using a product if you suffer from any allergies. found™ formulas are never tested on animals. Disclosure: I received samples to review for my honest personal opinion. Your opinion may differ. Ooh I will have to check them out!! There's a new company called Milani that's showing up in Walmarts Ive been meaning to try too!!! Let me know how you like them. I want to try the coconut mask next. I do love mask. It's been several weeks since, I have used one. I have not heard of this brand but will look for it. I am going to have to stop at Walmart and get some soon.